Ankama has revealed plans for the next two expansions for its board game Krosmaster: The Wild Realms figure collection and the Piwate Island expansion set. Both expansions are expected to ship in October, along with the Fall 2017 In-Store Play Kit, which will be available free to stores that order Wild Realms. The first 50 retailers to order a full case of 4 displays will be eligible for a free Fall 2017 In-Store Play Kit, which will be released alongside Wild Realms. 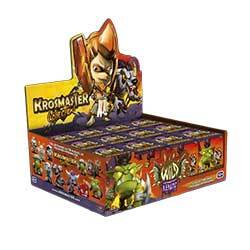 Each kit will include 32 Krosmaster figures and other materials required to run an event with up to eight participants. 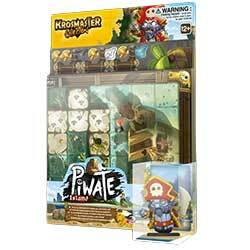 The second new Krosmaster release will be Piwate Island. Packaged in a large blister card format, this expansion comes with a new double-sided game board showing the named isle, as well as the tokens and counters required to use the expansion with Krosmaster: Arena. Also included is the new Le Chouque figurine.